Only Two of the Top 10 EdApps in iTunes are Worth Buying | disrupt learning! This blog post originally appeared on the Balefire Labs blog. A lot of teachers and parents we talk to have told us that when they are trying to find apps for their kids they look at the Top Charts in the iTunes store. And we go there too when deciding what apps to review. It’s a pretty common thing, to see what others buy and use that information in your own purchasing decisions. All of us tend to think that popularity must mean something. So we decided to do a little experiment. On Friday, we downloaded the top 10 paid apps in the Education category on iTunes. Then over the weekend we reviewed them. Here’s what we learned: Anyone who is basing their purchasing of apps on popularity rankings, expecting them to be high quality educationally, is in trouble. 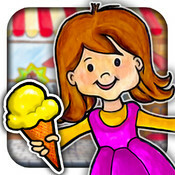 My Play HomeStores by Shimon Young ($1.99; 0-7 yrs): In this app, the user can move onscreen characters around to different stores in a neighborhood and buy items, such as clothes, ice cream and groceries. There are no learning objectives and no meaningful educational interactions required. 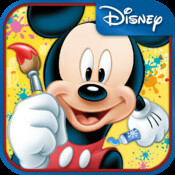 Mickey Mouse Clubhouse Paint & Play by Disney ($4.99; 0-7 yrs): This app is a digital coloring book. Once a picture is colored, tapping a button turns it into a 3D moving image. There are no learning objectives and no meaningful educational interactions required. To read the rest of this post, please visit the Balefire Labs blog by clicking here. i am a behavior and learning scientist. i hold an ed.d. in educational psychology and am trained as an instructional designer. i have spent more than 15 years working in education and instructional software design. This entry was posted in App Reviews & Recs, Technology and tagged App Store, Apple, apps, Arts, Education, education apps, education technology, Educational technology, Educators, Friday, IOS, IPad, IPhone, iTunes, ITunes Store, K through 12, Learning, Student, Teacher, teaching, Technology. Bookmark the permalink. What ever happened to Errorless Learning? EdTech Reviews: What is an "Objective" Criterion? How to Choose Educational Apps?